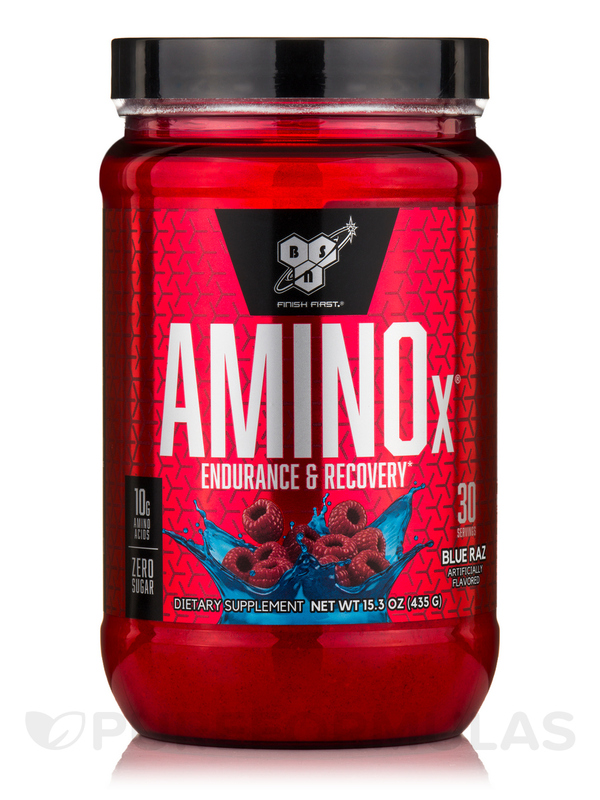 Amino X by BSN is a great pick me up. Good flavor without the after taste. †Percent Daily Values are based on a 2‚000 calorie diet. **Daily Value Not Established. ‡Due to settling‚ a natural occurrence with powders‚ variations in the powder height level may vary from bottle to bottle. Additionally‚ powder density may be affected as a result of the settling which may cause slight variations in the scoop serving size. 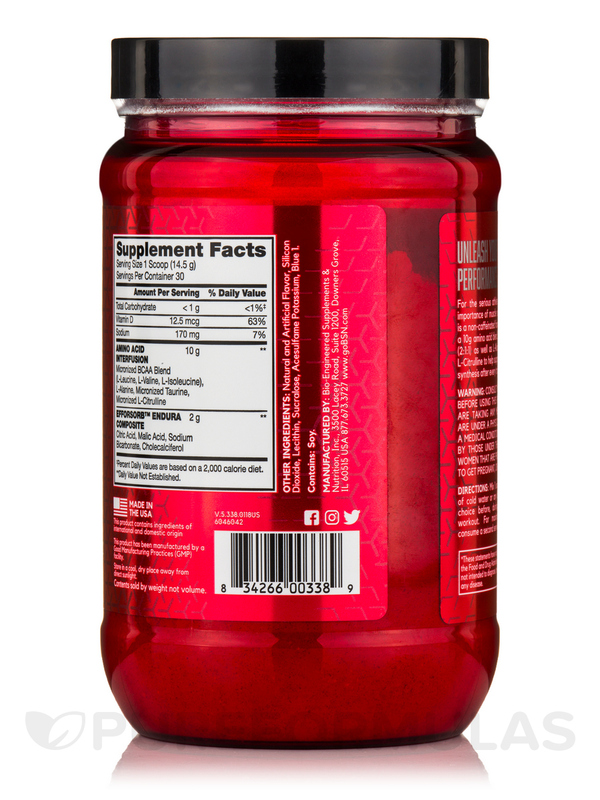 Other Ingredients: Natural & Artificial Flavors*‚ Silicon Dioxide‚ Lecithin‚ Sucralose‚ Acesulfame Potassium and FD&C Blue #1. 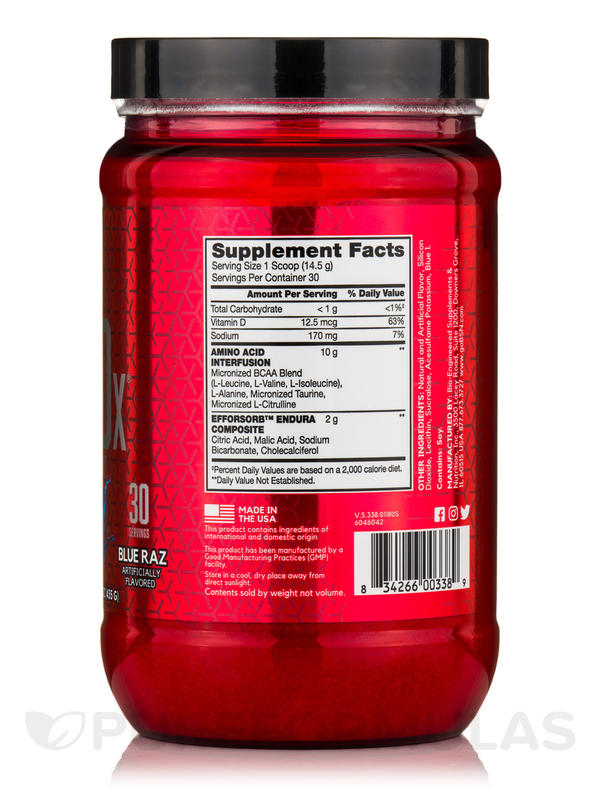 As a dietary supplement‚ mix 1 scoop with 6-8 oz. 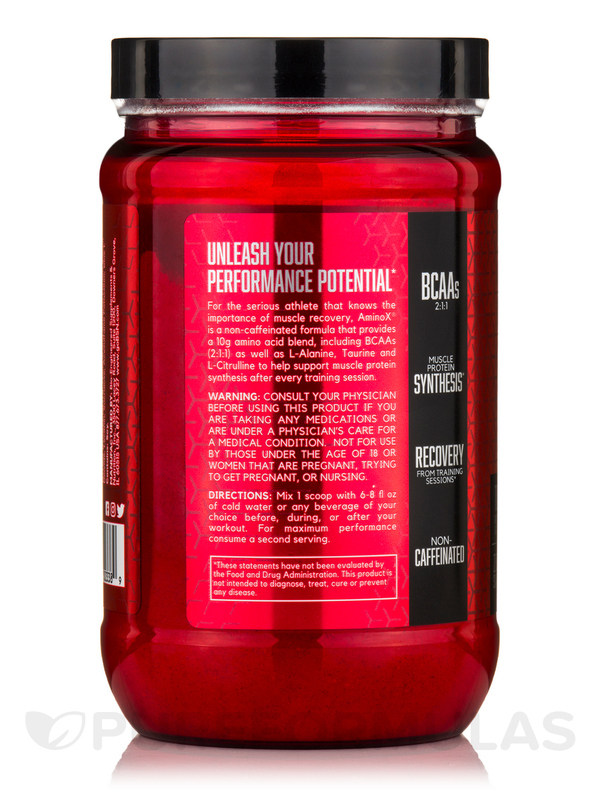 of cold water or any beverage of your choice before‚ during‚ or after your workout. Allergen Caution: Contains Soy (Lecithin) ingredients. Manufactured on equipment which processes products containing milk‚ egg‚ soybeans‚ wheat‚ and tree nuts. Have to clean the bottle after right away. 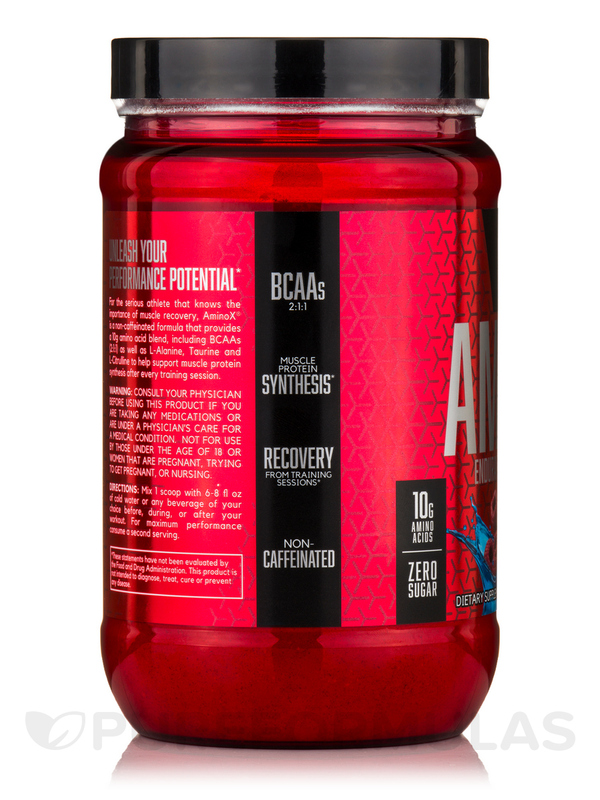 Great tasting high quality amino acid complex. Great flavors and affordable on a budget. Will buy more.